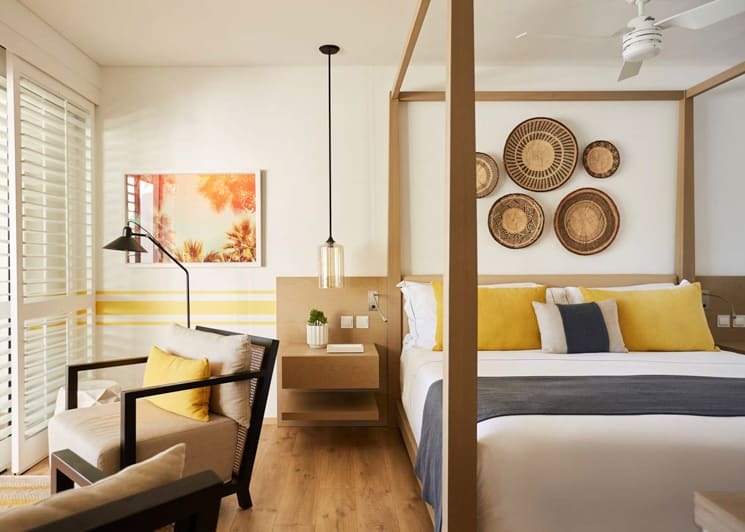 Completely renovated and redesigned by renowned interior designer Kelly Hoppen, LUX* Grand Gaube is a retro-chic style resort in a stunning location. 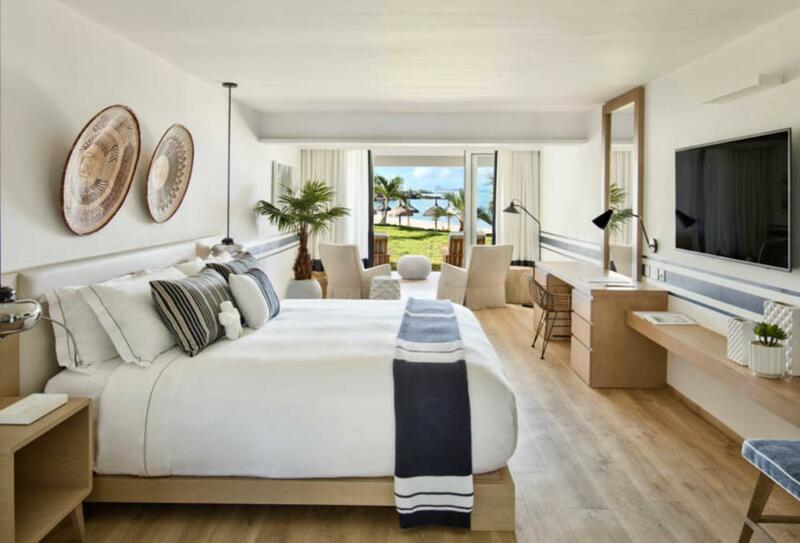 Spacious rooms and suites each feature a balcony or terrace and views of the gardens or the ocean. There is a choice of board options, including a comprehensive all-inclusive plan. Dine at the Peruvian-Argentinian restaurant, or the around-the-world Palm Court Restaurant and Bar. There is an adult-only area, Under the Banyan, with a unique dining and drinking experience. The resort has three swimming pools, a cinema, a spa sanctuary, driving range and nearby golf course. On top of this, guests can enjoy a plethora of land and water sports and children have their own kids’ and teen facilities. 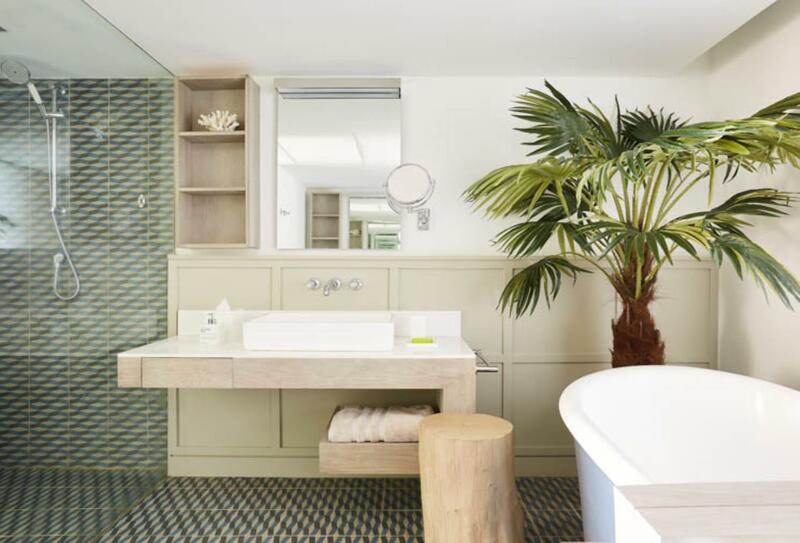 Perfect for families, these suites feature a lounge area and two oversized bathrooms. 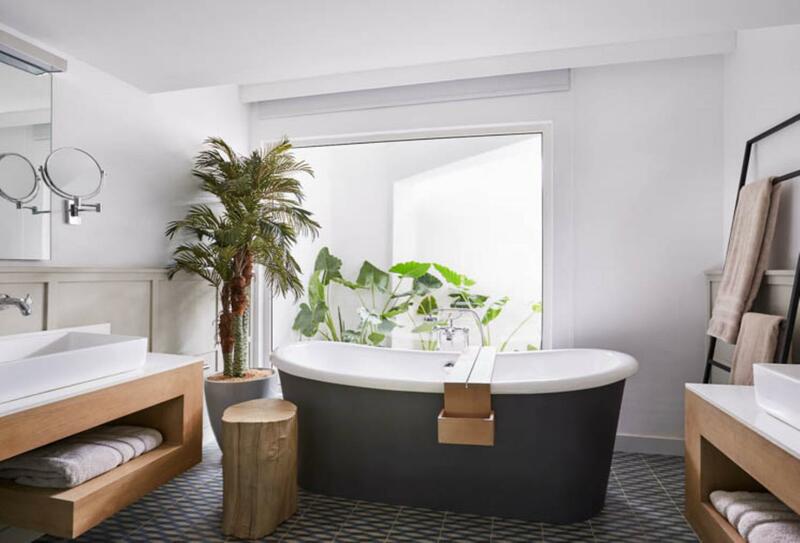 The Deluxe Room is in an adult-only area around a secluded bay. 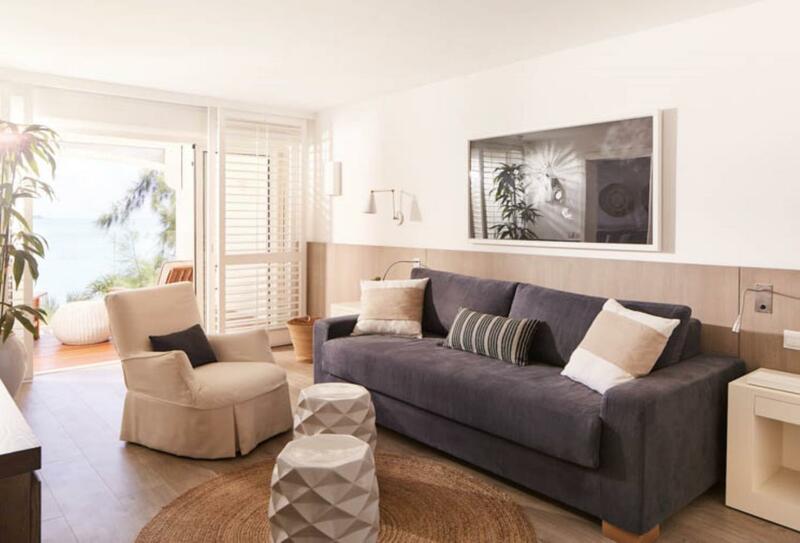 On the ground floor of the resort with a decked terrace and direct access to the beach and lagoon. Spread over a hectare of land, the spa is the home of wellness, from holistic remedies to oils created exclusively by Shirley Page. The resort has its own driving range and the Mont Choisy Le Golf is just 15 minutes away and a premier 18-hole course. 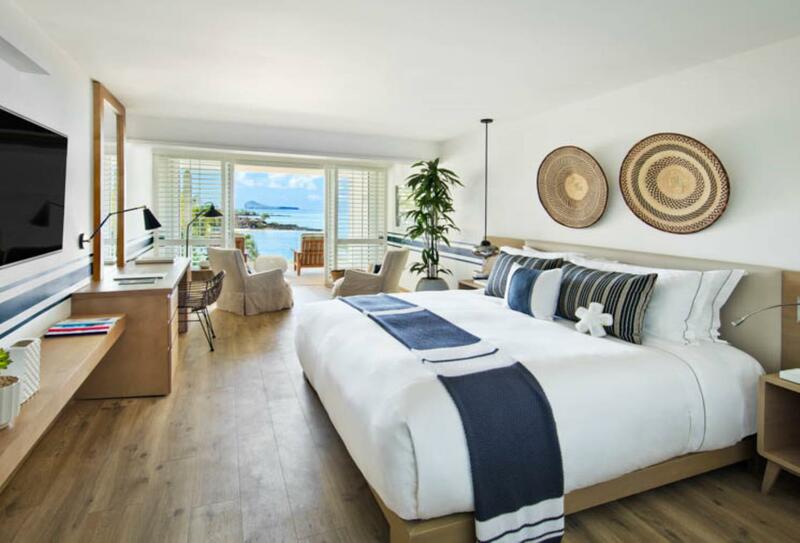 Guests staying at LUX* Grand Gaube enjoy special rates and there is a golf concierge to help you with tee-times, itineraries and equipment storage. A Peruvian-Argentinian restaurant, a first in the Indian Ocean. Expect grill dishes and cuisine inspired by cultures across the world. There is also a pastry bar serving sweet and savoury churros. Open 19:00 – 22:30. Around-the-world cuisine with a walk-in refrigerated Glass Box. There is also a Mediterranean Tapas bar serving Italian and Spanish cuisine, a southeast Asian kitchen with live cooking stations and the Comfort Kitchen for British dishes. Open for breakfast 07:00 – 10:30 and dinner 19:00 – 22:30. Authentic Turkish restaurant offering tasty kebabs and mezzes. The chefs use only the freshest ingredients from Istanbul and you can try five Turkish wines. Open 12:30 – 15:00 and 19:00 – 22:30. An authentic coffee shop serving traditional blends. Open 07:00 – 23:30. Under the shade of an ancient banyan tree, this dining and drinking experience serves creative cocktails and authentic dishes at the Creole Smokehouse. Other venues include the Banyan Burger Shack (open 12:00 – 16:30), Rum Treehouse (18:00 – 22:30) and French Kiss Mobile Bar (10:00 – 18:00). 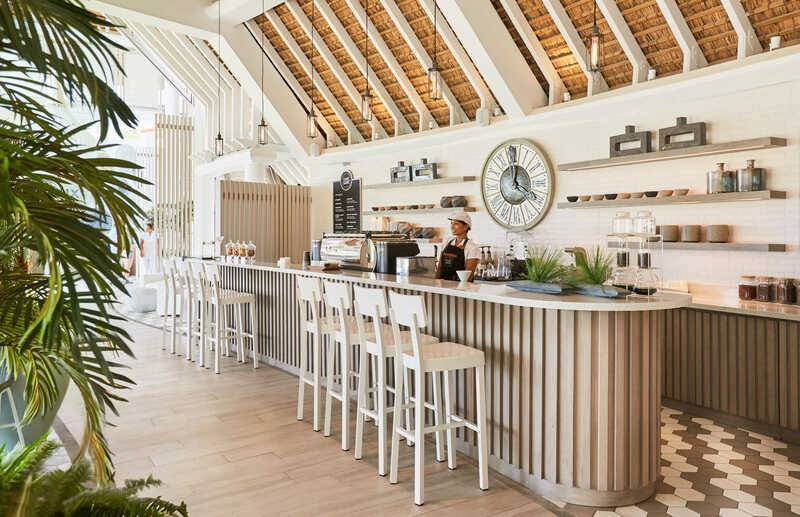 This bar serves world gins and a peaceful setting by the lagoon’s edge. Open 12:00 – 19:00. On a prime location on the beach with views of the lagoon and Indian Ocean, the Beach Rouge serves lunches and romantic dinners on the water’s edge. Enjoy a mix of seafood and brunch. Open 12:30 – 15:00 & 19:00 – 22:30. 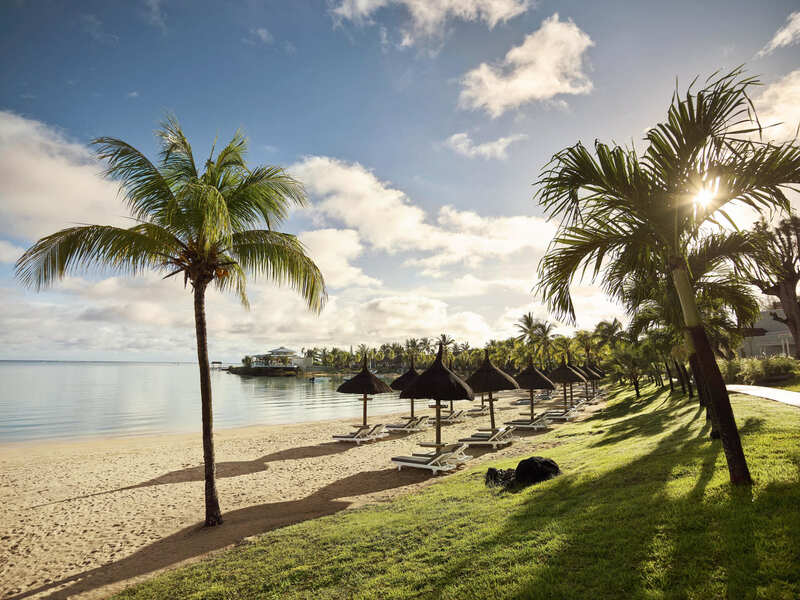 LUX* Grand Gaube is situated on the the North coast of Mauritius. The Sir Seewoosagur Ramgoolam Airport is 45 miles, just over 1 hr by car. LUX* Grand Gaube welcomes children of all ages and provides innovative and exciting activities for 3 to 17-year olds.